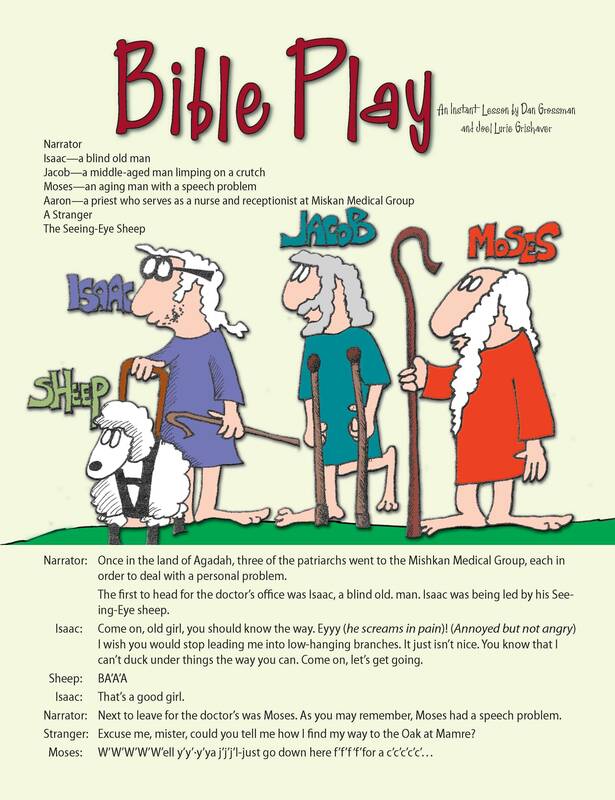 Grades: 5-7 Bible Play is built around an original midrash which has been written as a very short play. It involves three Biblical figures: Isaac, Jacob and Moses, each of whom has a significant disability. 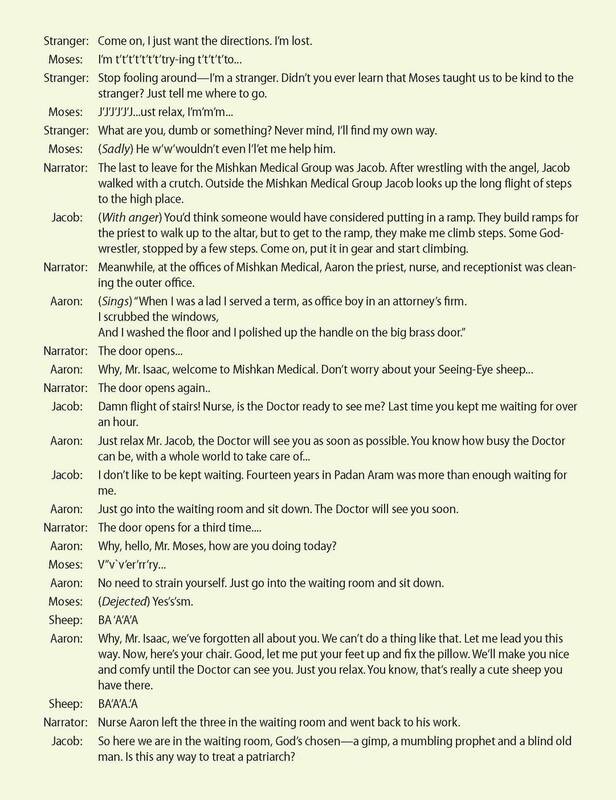 Isaac becomes blind in his later life, Jacob becomes lame after his encounter at the Jabok, and Moses is described as having a speech impedi­ment. This midrashic play has been written for oral reading in class ( and not for public performance) and is a trigger for discussions on two major and interrelated themes.